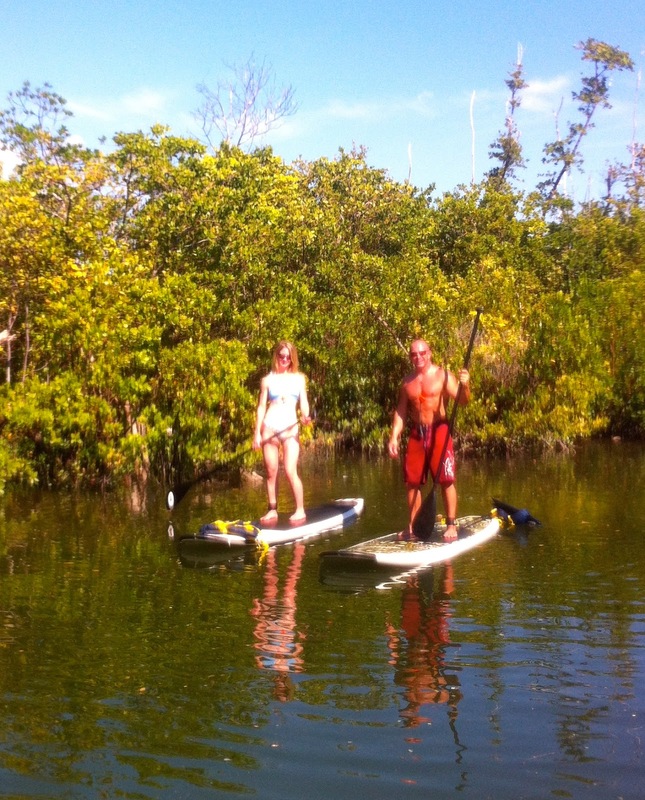 Chris and Tracy already have perfect bodies from working out in the gym but today they added paddleboarding into their regime. 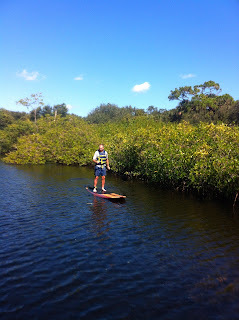 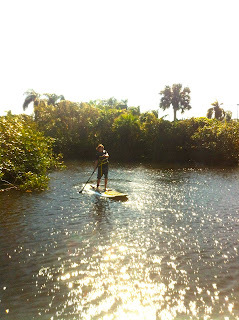 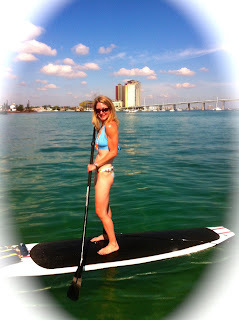 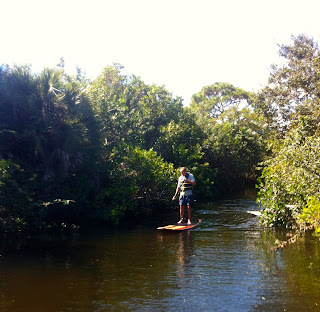 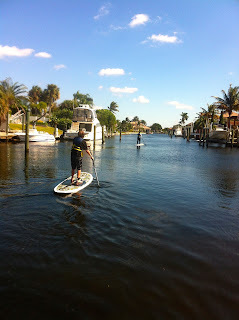 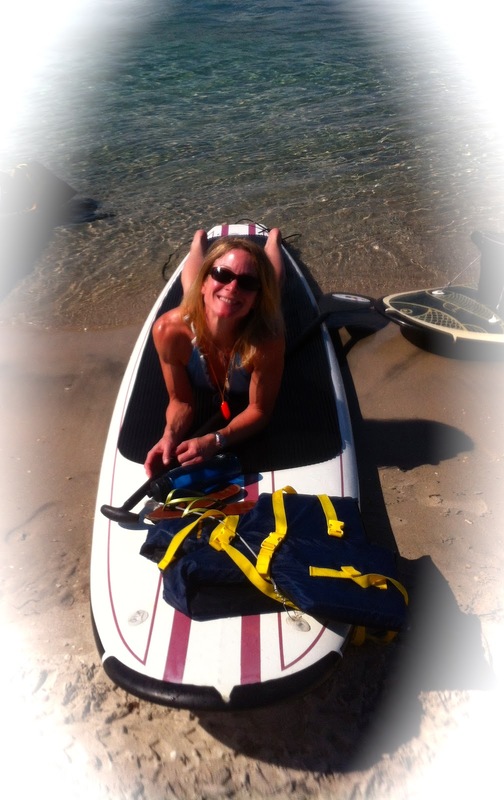 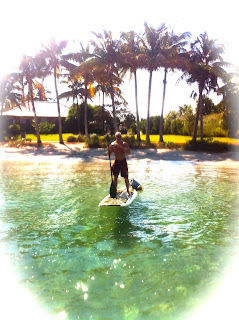 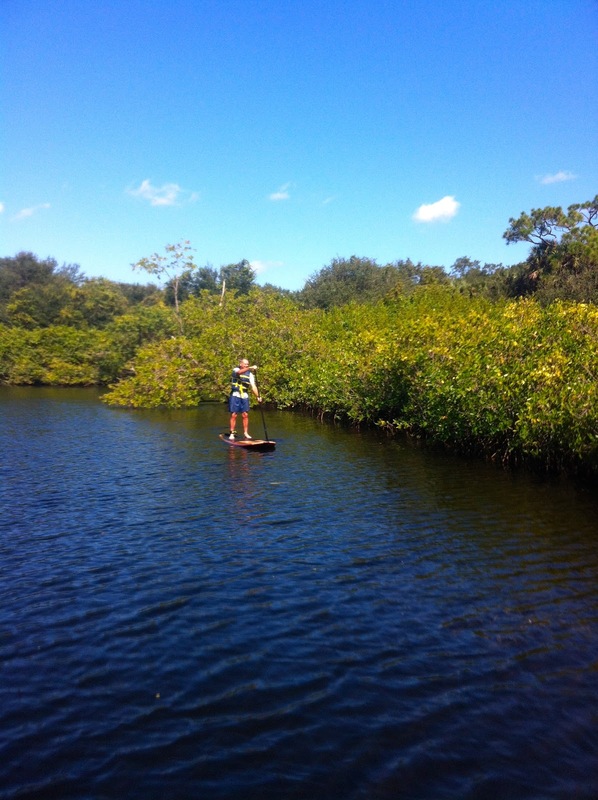 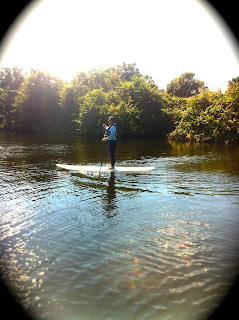 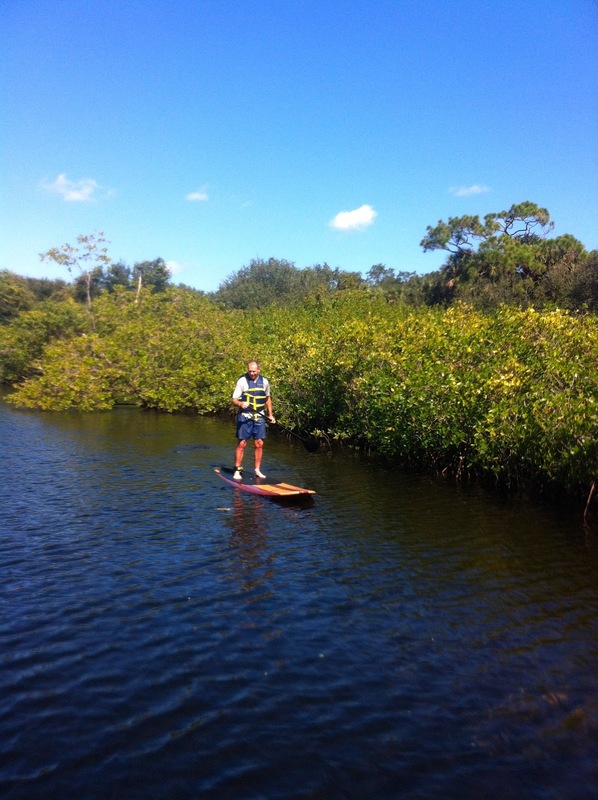 Paddleboarding gets you out into the sunshine and the great outdoors....a good switch occasionally! 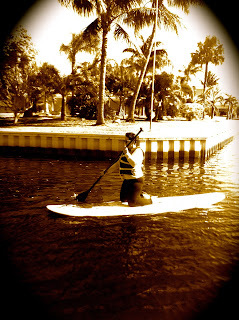 Good for the mind and soul. 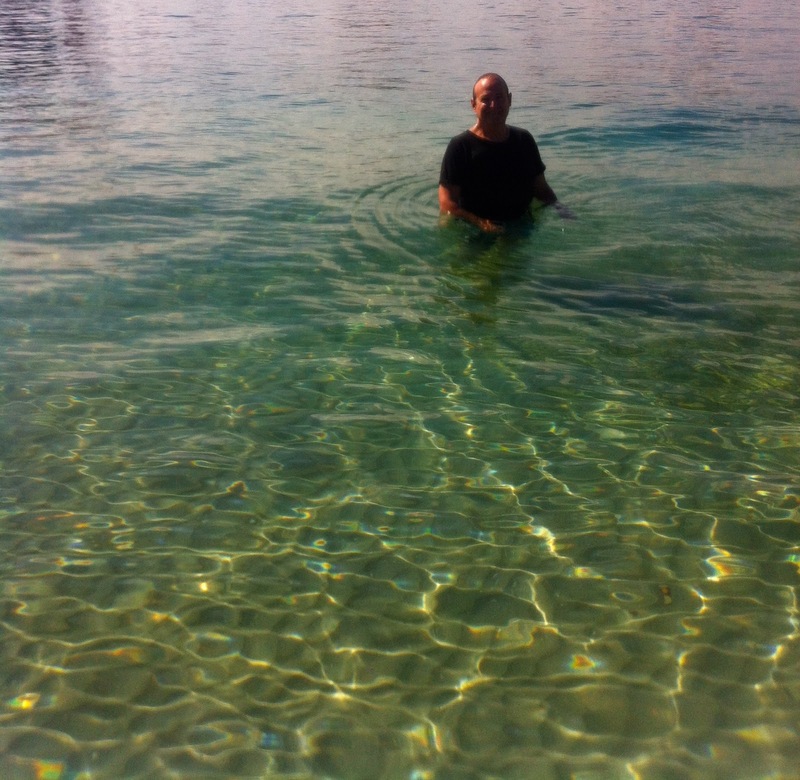 Even though it is November the water is still quite warm and the saltwater felt good for the muscles as we soaked in spa like waters. 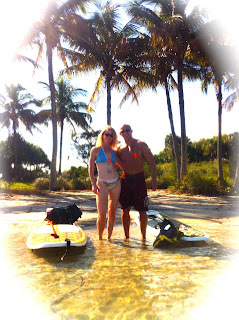 I can't promise you will have bodies like these two perfect specimens if you start paddleboarding but I will promise a good core workout and lots of fun! 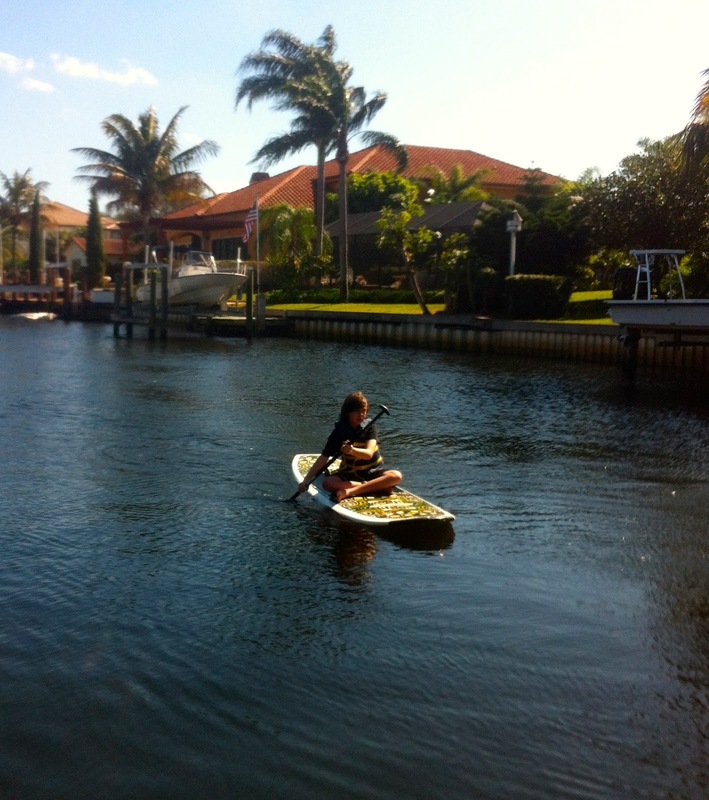 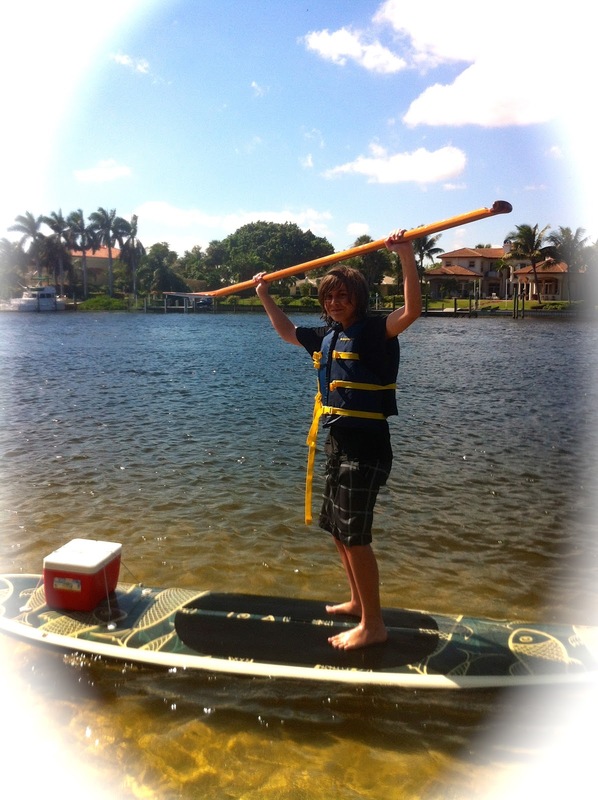 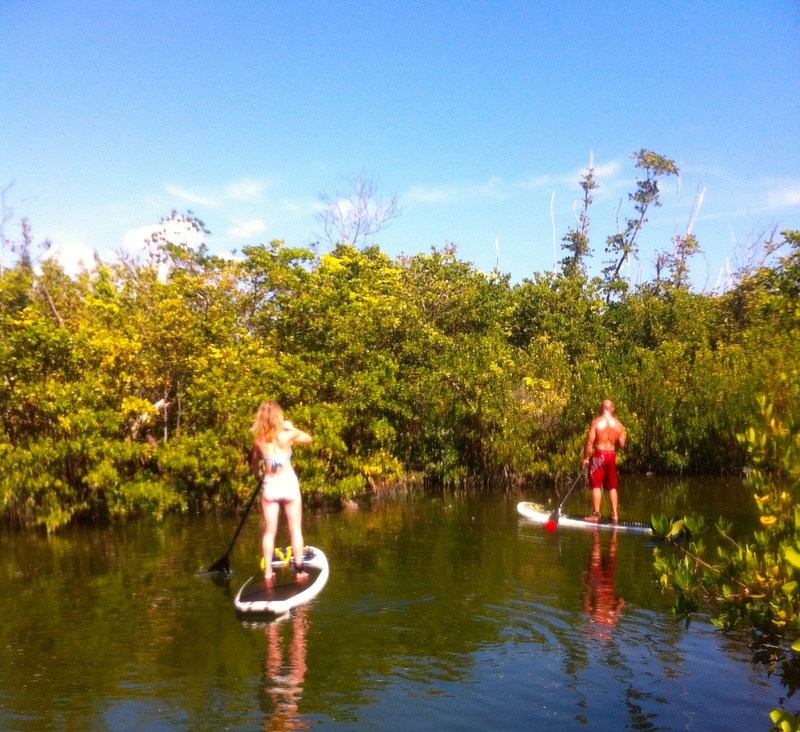 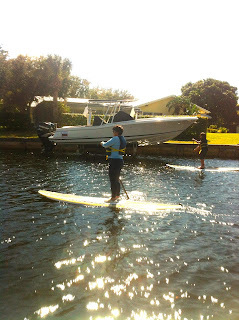 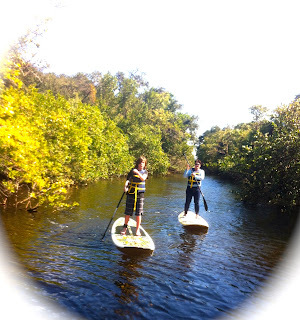 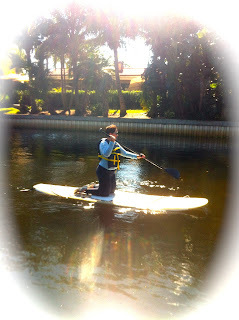 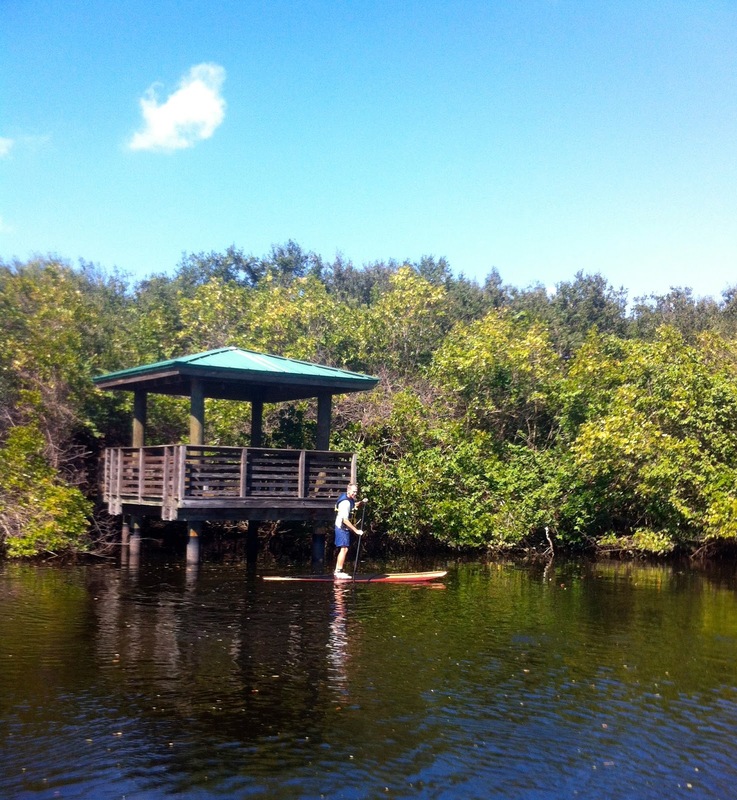 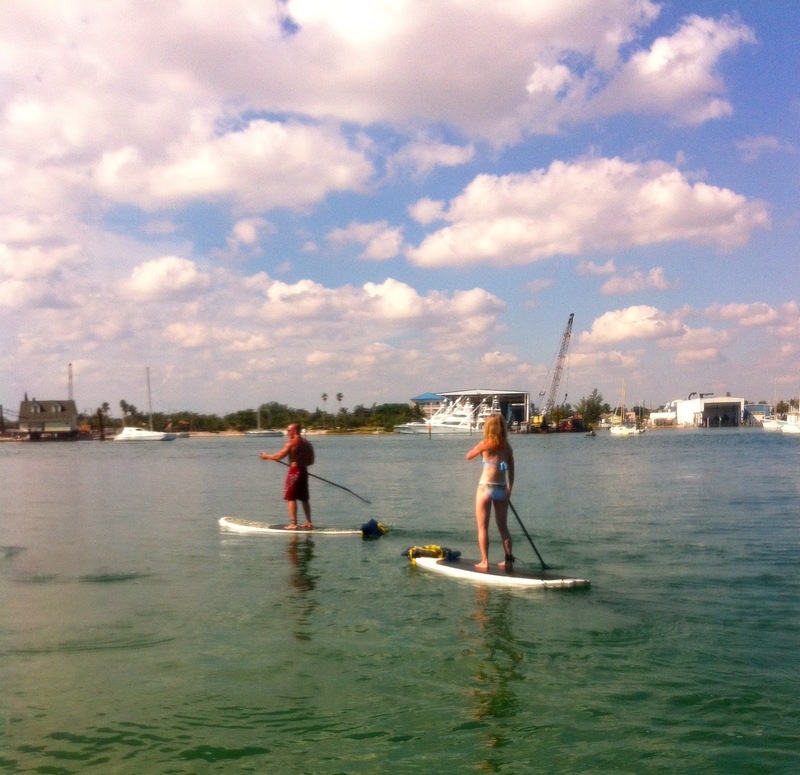 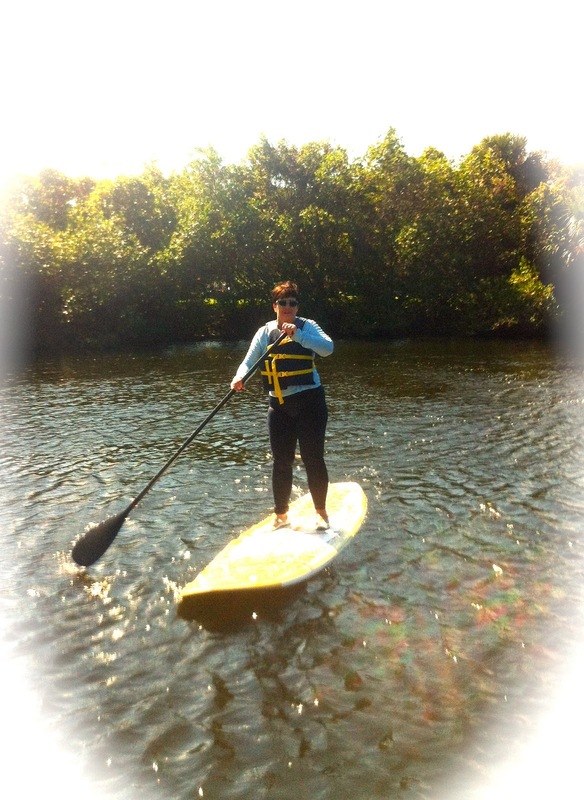 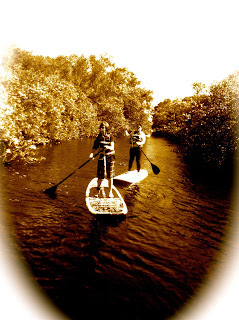 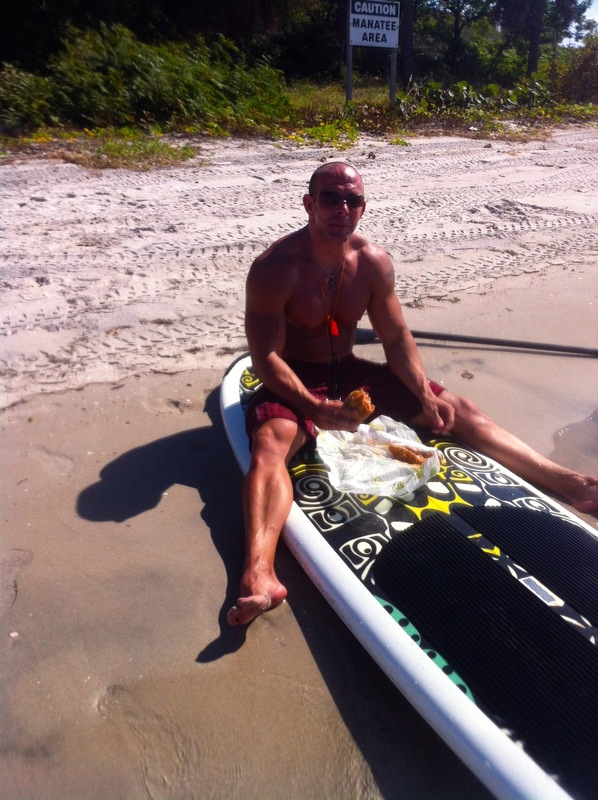 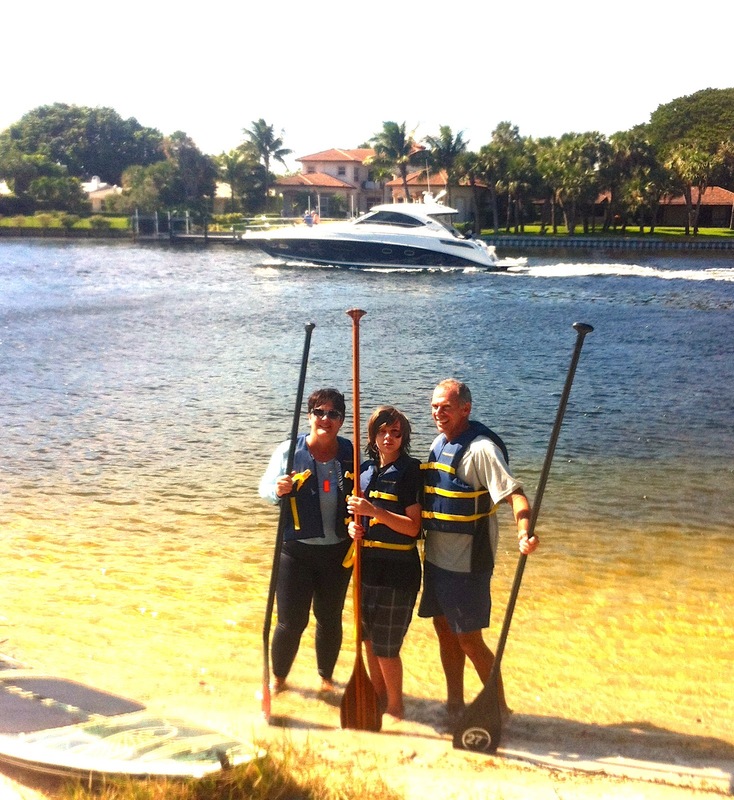 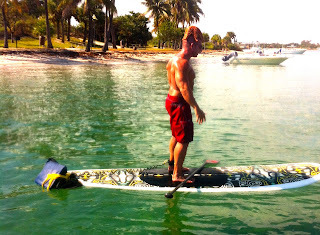 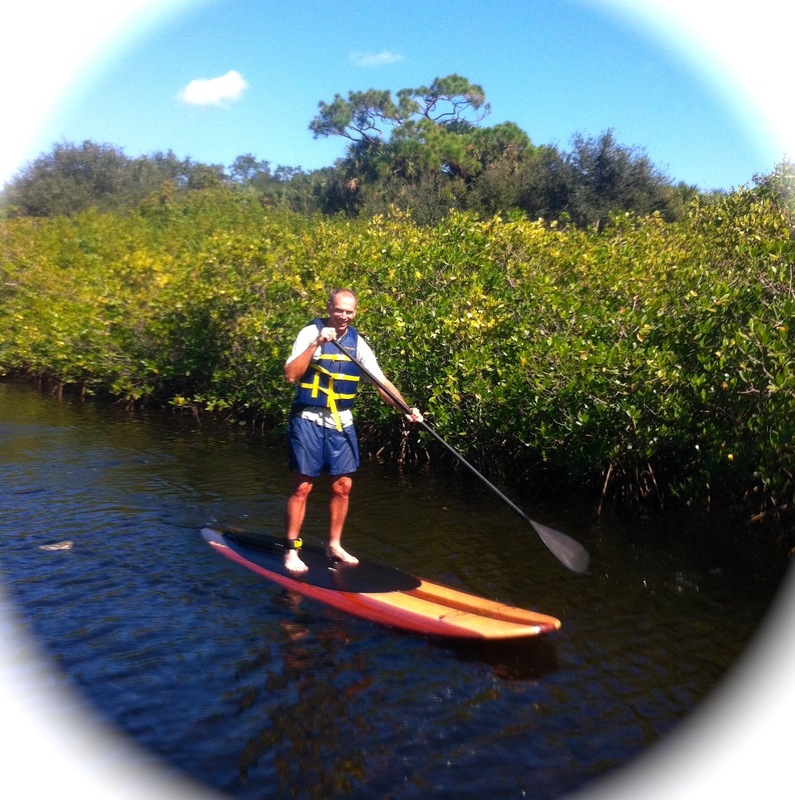 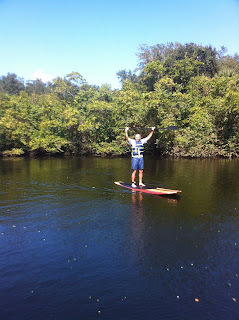 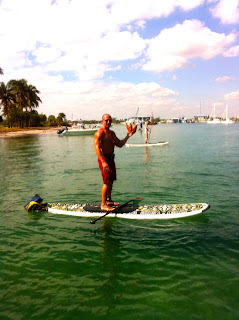 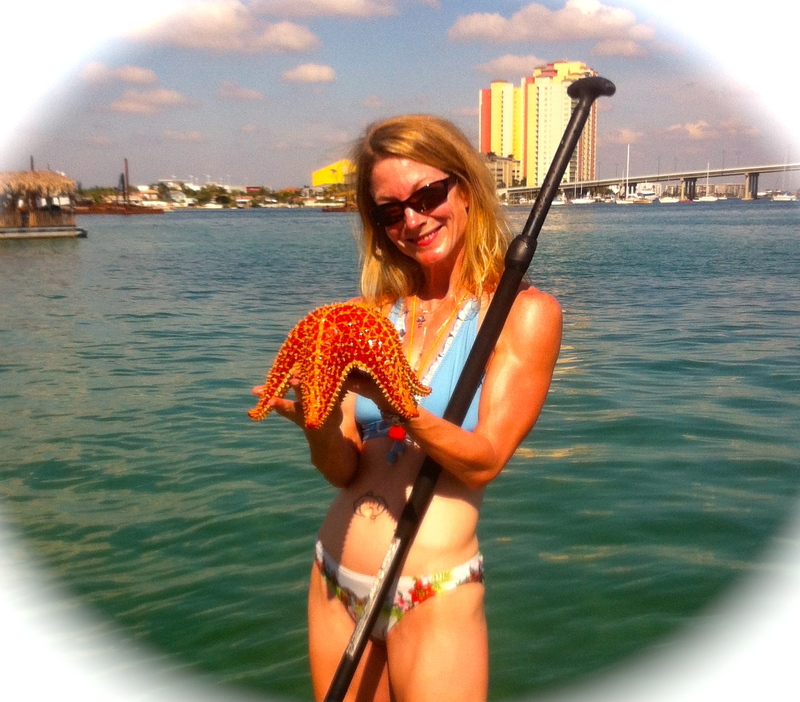 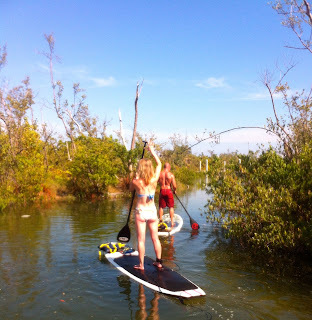 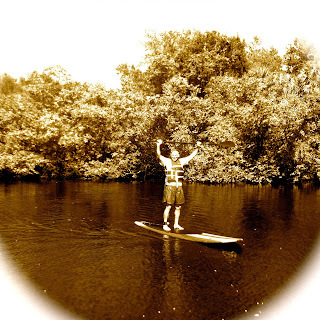 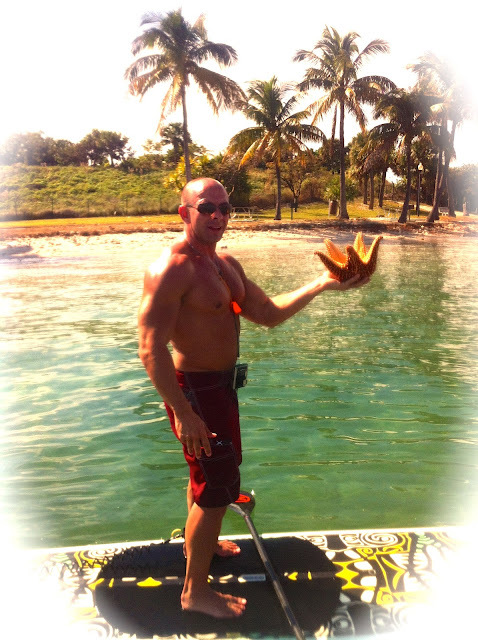 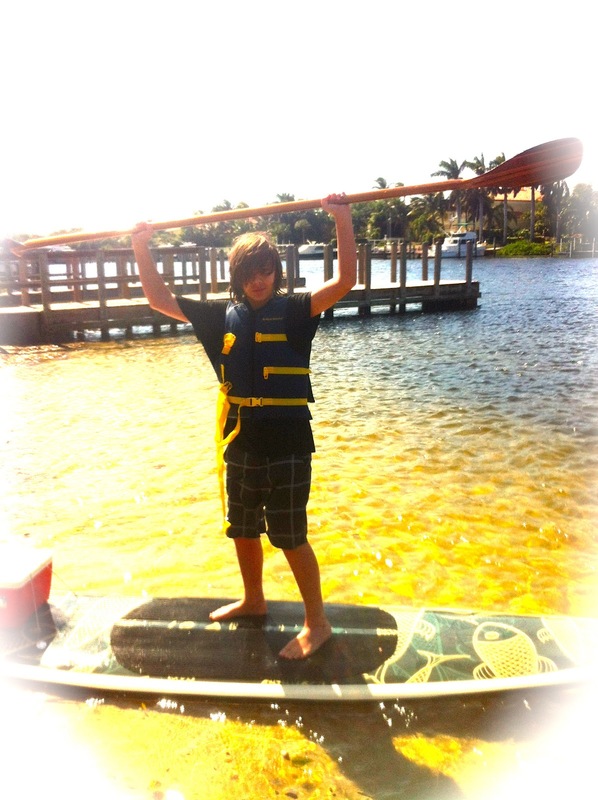 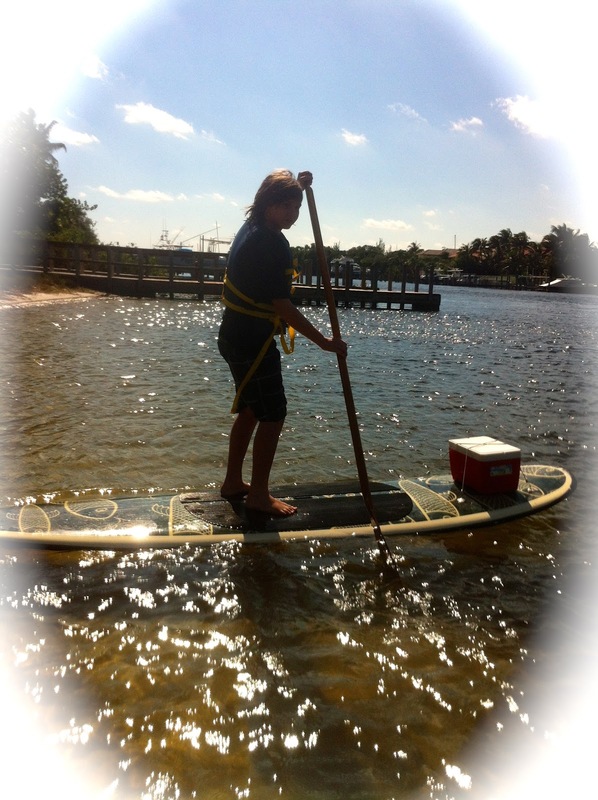 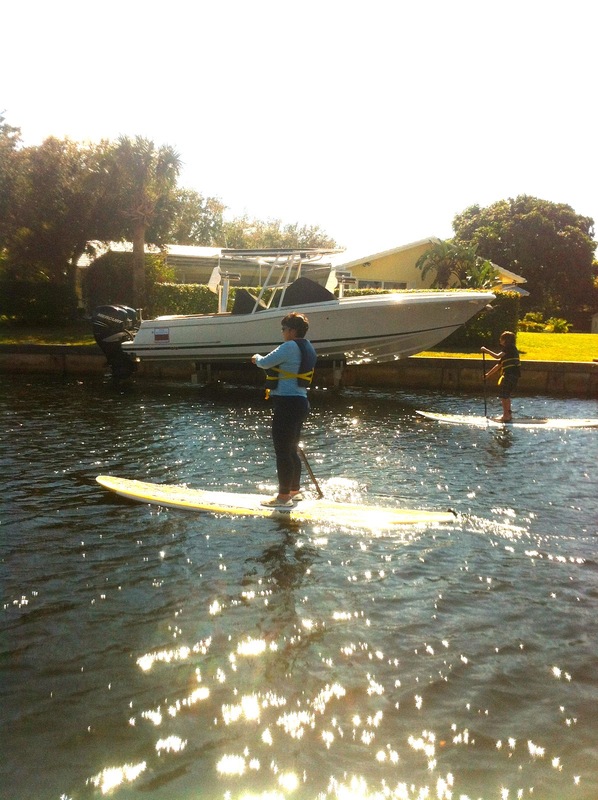 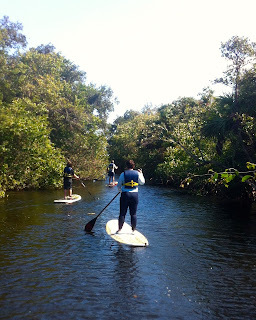 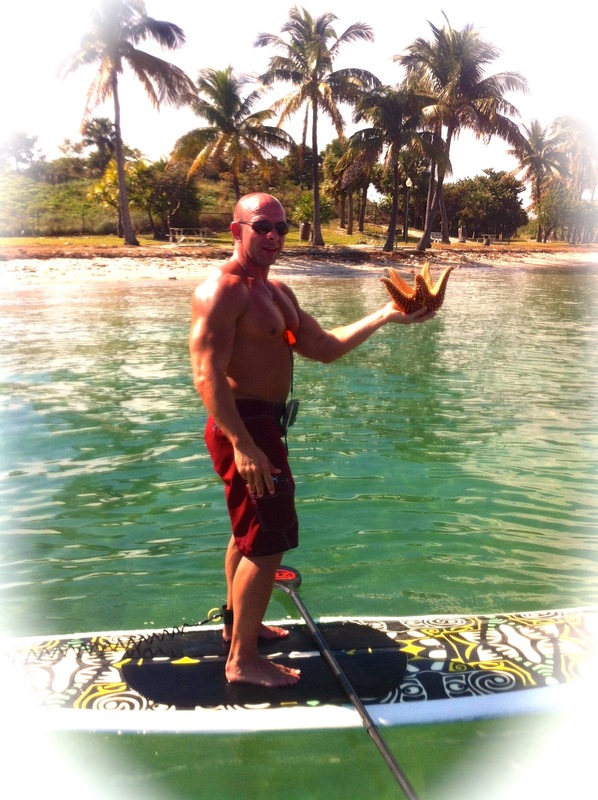 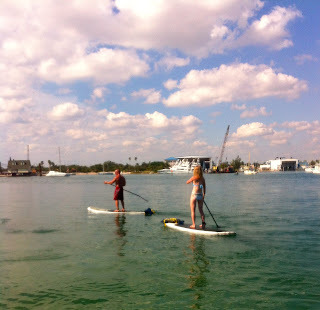 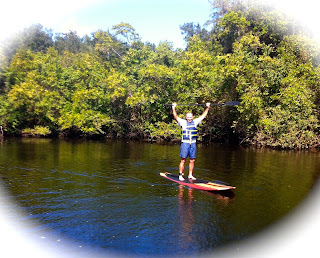 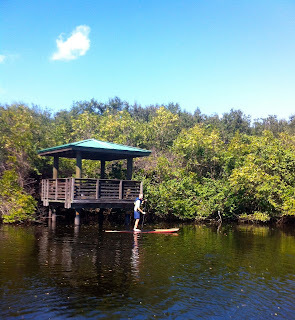 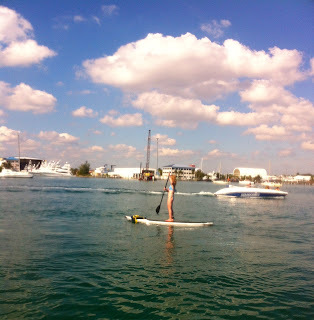 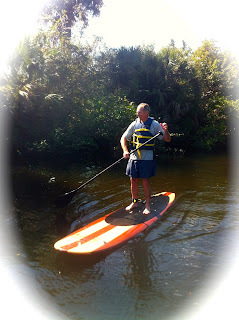 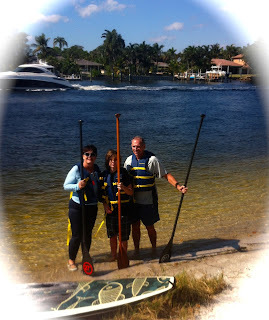 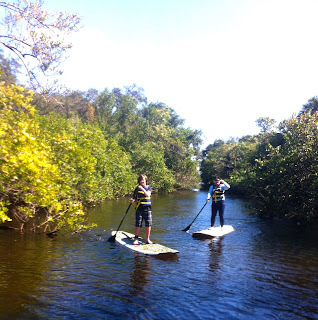 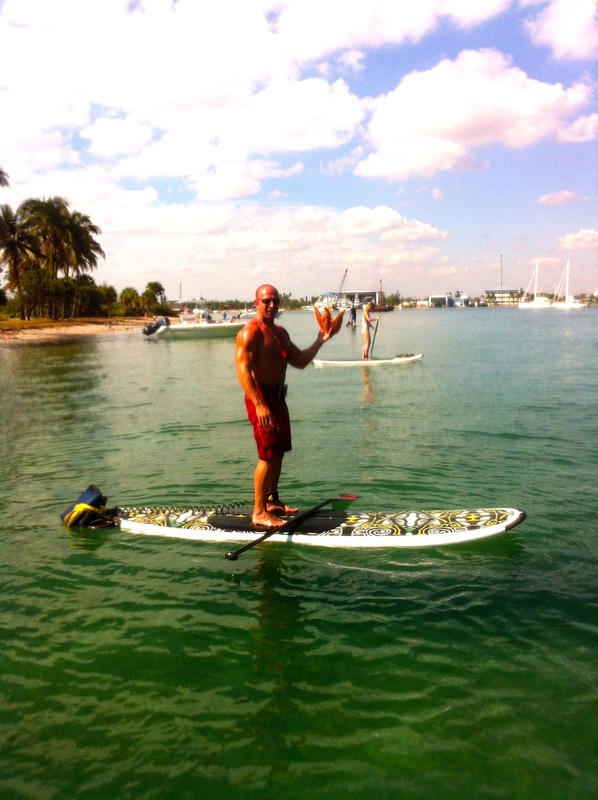 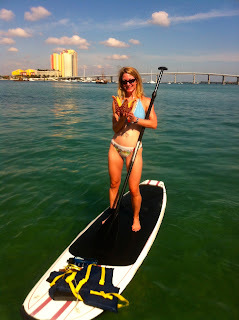 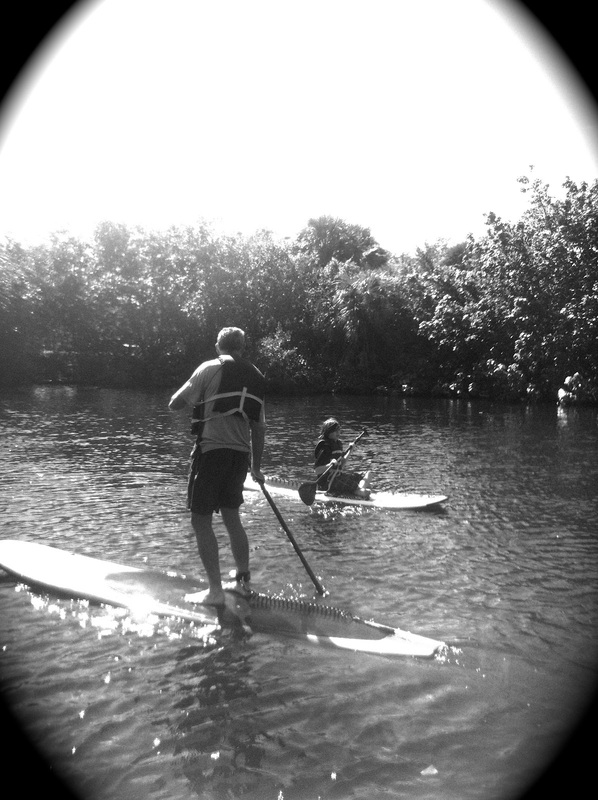 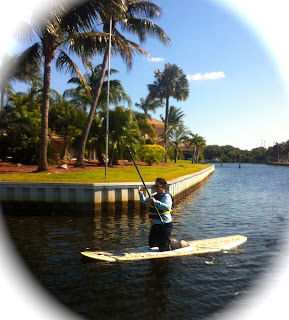 Come join Paddleboard Excursions for the first step toward getting into great shape! 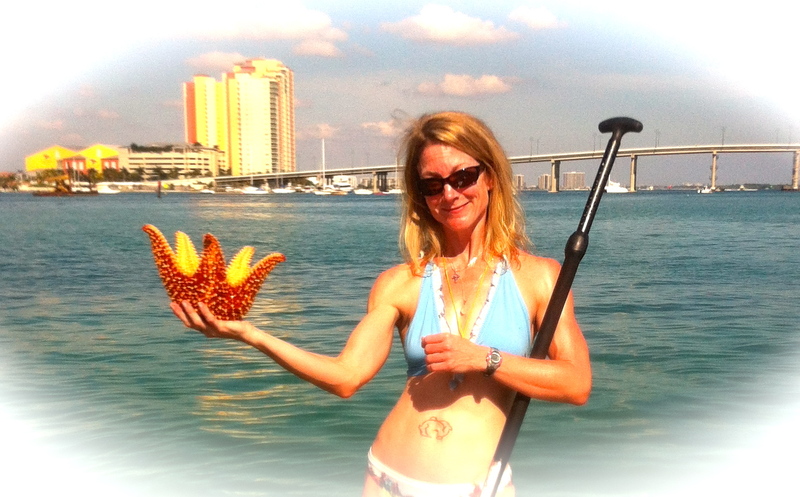 We found this beautiful orange starfish floating on the surface of the water in a strange shape. 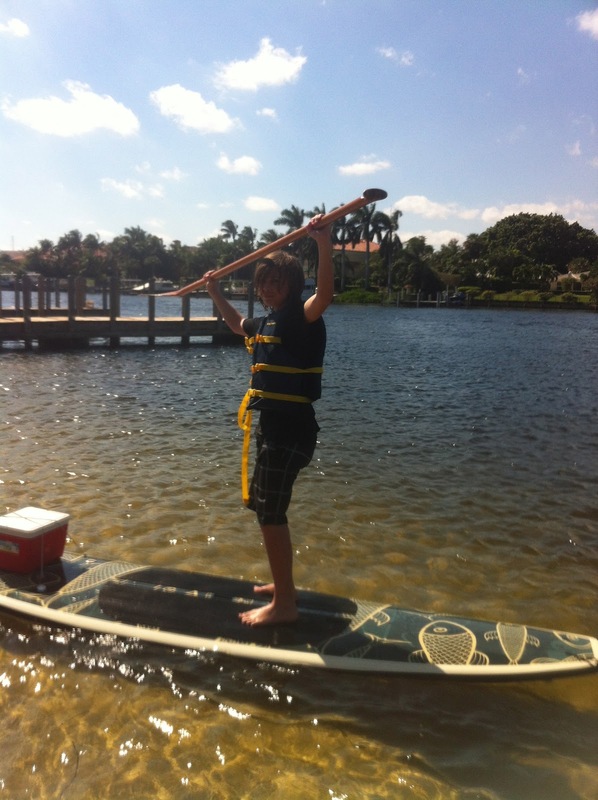 It almost looked like a hat so Chris tried it on for size. 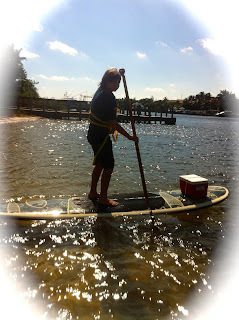 I am not sure what happened to it but we rescued it and put it down on the bottom where it belonged. 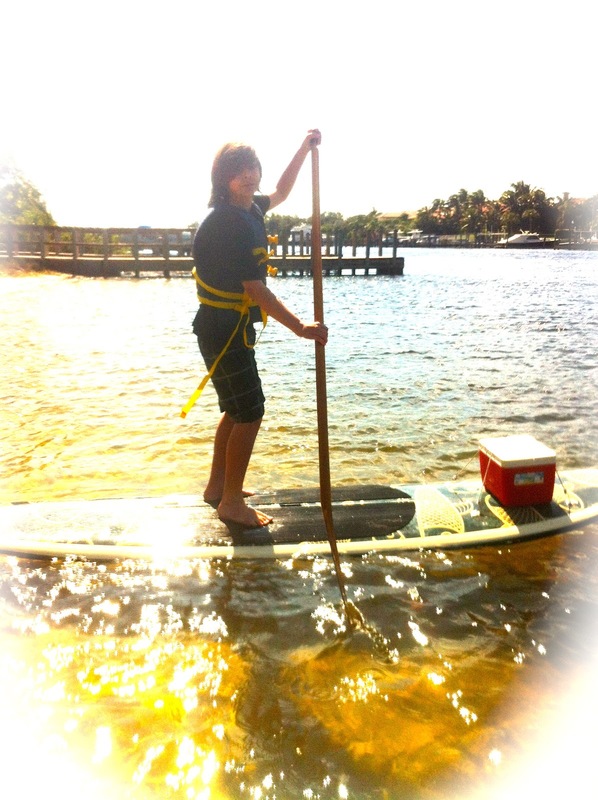 I hope it survived. Peanut Island has been blessed with these starfish and we need to protect them for everyone to be able to enjoy.